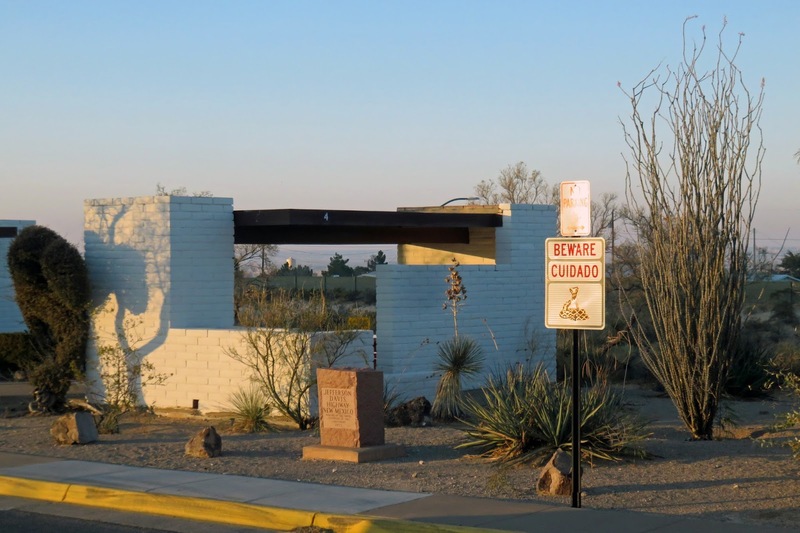 An ominous warning at a rest area in New Mexico. I took this picture just as the sun was coming up. 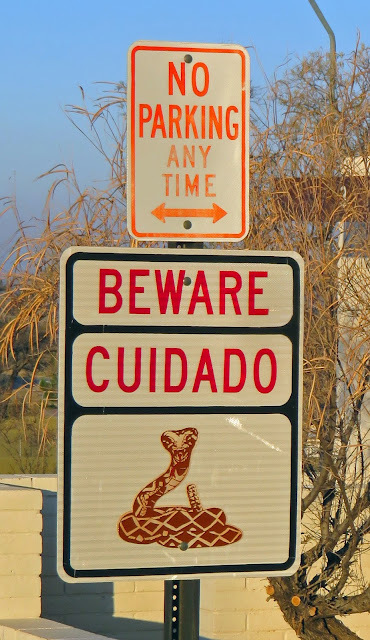 I pulled in to do a quick load check and decided to get a shot of a warning sign I've seen many times - apparently the coiled up rattlesnake is enough to get the point across. I've never seen a snake at a rest area and hope I never will.